Understanding How Online Slots Work Before Playing. How Do Online Slots Actually Work? So How do Casinos Make Their Money Then? If you were to go and visit any online casino you will quickly learn that online slots are easily the most popular casino game online. How could you tell? By the sheer number of them that are available to play compared to other types of casino games. Some top online casinos have as many as thousands of different online slots listed compared to just dozens of table games – a simple case of supply and demand. The basics of online slots are not much different to how they have ever been in the way that they work. A player makes his wager, spins the wheels and waits for the reels to stop before seeing if they have brought him a win. That win will come if the reels have stopped in such a way that a line of the same symbols is in view. Of course, the rarer that symbol, the more a player will win. While mechanical slot machines date back as far as the late 1890s, those basics have always stayed firm. Back then, however, the randomness of the machines was all done mechanically while in recent years, slots have moved online and their randomness is now determined by random number generators. The randomness of a slot is always going to play a big role in determining your chances of winning, so it is important for all players to at least have a basic understanding of how it all works. This is what we will be talking about in this article, so sit back, relax, and enjoy being educated on how online slots work. When you look at an online slot, you will notice that they still, in essence, look like what you might find in your local casino. They still in the main, have three to five sets of reels which spin before stopping to determine if you have won or not. 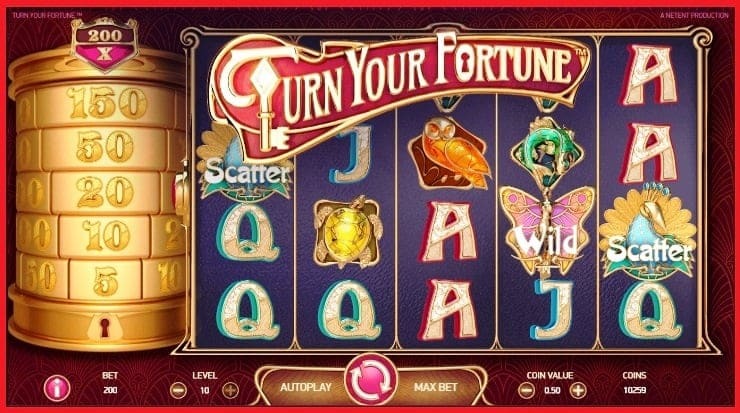 While a physical machine will not be able to have some of the modern features that online slots do such as expanding wilds and animated bonus rounds, they will still fundamentally work in the same way. As we touched on previously, the only difference is the manner in which that outcome is decided. Licensed casino game providers actually use RNG software which is regulated by online gambling authorities to determine the randomness of their results. While for many, the thought of a piece of software determining their result is worrying, the fact that online casinos must allow their RNG to be tested by regulators as part of their license agreement should at least let them know that somebody is ensuring some fairness. So what exactly is RNG and how does it work? Well, in the backend of every single online slot is software which is constantly selecting random numbers. In fact, the RNG generates thousands of numbers every second that is between 0 and 4 billion (approximately). Each of those numbers will be connected to a different outcome on the reels for each spin and the number generated at the exact moment of you pressing ‘spin’ will be the outcome that you get. The mathematical module in the games software translates that number and figures out where the reels should stop. Those reels stop where they should and the game calculates the result of the spin. The player is then notified of the outcome. RNG software is completely random and therefore, your previous wins or losses will have no bearing on your next spin. Yes, if you had pressed the spin button a second earlier or later than you did, you’d have had a different result but as you’ll know, there is simply no way to know whether you would have fared any better or worse. Many of you will now be wondering just how an online casino makes its money if their online slots are completely random. Well, put simply, a casino has an edge in the long run with each and every game that they host for players. Put it this way, let’s say we play a game of flip the coin. You pay me $1 for the flip and if you were to get lucky enough to win, I will give you $1.50 but should you lose, I will take all of your bet. As you can see, you will either win $0.50 or lose $1 in every game and while the result is completely random and there is a chance that you could get extremely lucky and beat me, the odds are stacked heavily in my favor in the long term. The math behind the actual game is what will determine how much the casino makes and not the RNG which is completely random. Essentially, over a long period of time, a casino will always make a profit. Some players will get lucky and win while others will not be so lucky and will come out with a loss but the end result is always the same for a casino. 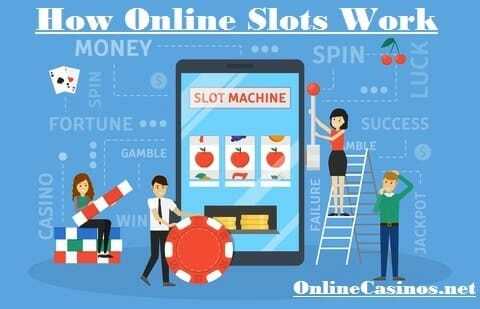 Now that you have a better understanding about how online slots determine their results and that they are fair and random in doing so, we thought it would be a good idea to dispel some of the more common misconceptions regarding slots. Completely untrue as each and every spin is random from one another. It is just as likely to win from five spins in a row as it is to lose from five spins in a row. You could win two big payouts consecutively or go 10 spins with no win at all. You will, of course, enjoy good or bad streaks but once again, this is just down to being lucky with the complete randomness that RNG delivers. While this myth might have had legs with older slot machines in casinos not having enough money inside of them to payout anymore, this is certainly not the case with online slots that do not payout directly to the player. In any case, the original myth regarding physical machines is just that, a myth anyway because it is known that if a machine does not have enough money, players are directed to casino staff to be reimbursed if they do win on an empty machine. Some people think that machines will take advantage of a player not looking at the screen and leaving the slot to spin on its own for a set time period by rewarding them with fewer wins. This is just not the case as both autoplay spins and manual spins all work with the same math behind them. Gambling regulators always test the RNGs in casinos and on slots to ensure that stuff like this cannot happen. Those are just three of many misconceptions about how slots and their RNG work but there are plenty more. Some people just seemingly cannot trust computer software to be fair but we can assure you that online slots are completely random and fair. The first thing to realize is that no online slot is equal to another, they will each have their variables that will determine how likely you’re to win from them. There are two mathematical characteristics of a slot that you should understand and these are RTP and volatility/variance. You can see our 2019 list of the 30 best paying RTP Online Slots Here. The RTP of an online slot will tell you how much money players should expect back from a slot after an extended period of playing and also how much of a house edge that slot has over its players. We will start with a simple example. Let’s say one particular online slot has an RTP of 95% and over many years of playing you spend $1 billion playing it. That RTP means that you should expect to receive back roughly $950 million in winnings. The remaining $50 million would be around what that slot machine will take in profit. That 5% is also what is known as the house edge that the slot has over you in the long term. The reason why we used such a large amount spent is that RTP is worked out over such a large sample size. Initially, your first few hundred spins could see you getting returns of anywhere between 30% and 1000%. The longer you play, however, the closer you will be getting to the numbers associated with the RTP. This is why you should be trying to play slots with a high RTP as statistically, you have a better chance of winning or minimizing your losses over time. Generally, the RTP of slots is around the 96% mark but you will find some as high as 98 or 99%. Not all slots will have their RTP declared so we advise you to stick to those that do make this information public. The volatility of a casino game is another aspect that you should consider and this is not quite as easy to explain. The easiest way to get a simple understanding is to use Roulette as an example. Bet on red and you basically have a 50/50 chance to win but you will not win much. Statistically, you should win half the time and double your wager. On the other hand, if you were to bet on a single number, you will only statistically win once in 37 tries but will win 36x times your bet. The safer bet is known as being lower volatility bet meaning that you will win more consistently but with smaller wins. High volatility is when you will win less often but will your wins will be far greater. So what does this mean for online slots? Well, each slot will have its own classing in terms of volatility (otherwise known as variance). They are generally classed either as low, medium, or high with the low meaning you can expect regular small wins with the occasional big win thrown in, high meaning you will not win very often but will be rewarded well when you do, and medium being somewhere in the middle of the two. If you wanted our advice on which is the best to go for, we would always say high volatility slots with an RTP that is as high as possible. While you will not win as consistently, there will always be the chance of bringing in some account changing wins – you only need a few of these to put you well ahead. Consistently winning smaller amounts never seems to get you anywhere although you still have a chance of bigger wins coming in eventually. Furthermore, playing high variance slots gives you a good chance of beating the declared RTP of a slot simply because of the larger payouts. Imagine playing a handful of spins and pulling in a huge win – you could simply call it a day there and then. It will take so much more effort on a low variance slot as you would have to get lucky on a far more consistent basis only to increase your credits bit by bit. RTP will eventually win out over prolonged play. High variance slots generally have a lower RTP in order to balance them out but even with that lower RTP, it can be beaten if you’re in the right place at the right time. Just be sure to leave once you have found yourself a good way ahead. Online slots are the most popular type of game you will find at online casinos but many players have never fully understood how they work under the hood. Hopefully, this article has gone a long way to helping you yourself have a better understanding of how online slots determine their results and what your chances are of beating them. The takeaway really is that online slots are completely random and that it is the maths behind the games themselves that will determine the chances you have at profiting in the long run. Forget the common myths about slots and start enjoying them for that are, a casino game that gives you the opportunity to win some good amounts of money but will ultimately win out against the player base over a long period of time.